Jagmeet’s Singh’s decisive victory in the New Democratic Party leadership race is unquestionably an historic event. Never before has a major federal political party in this country been led by a person of colour. Furthermore, Singh won by mobilizing thousands of people who before, might never have seen themselves as taking part in the NDP. If members cannot democratize the party and empower the grassroots, the presence of thousands of new members will be meaningless. If the party can build on that resonance, and embody the aspirations of those tens of thousands, it could be powerfully revitalized as a political force in this country. However, the “if” is a big one. Singh’s victory is also a victory for the party establishment’s status quo, which is dead-set on running a deeply centralized and anti-democratic party. The bellwethers here are Brad Lavigne, who recently cashed in his relationships with BC politicians to become a lobbyist, and James Pratt, who was charged with removing mildly pro-Palestinian candidates in 2015 through intimidation tactics. Singh’s appeal can win the NDP a few new seats, but if members cannot democratize the party and empower the grassroots, the presence of thousands of new members will be meaningless. As we know, because something is promised in a winning leadership campaign doesn’t mean that the party will use its considerable media platform and election campaigning to actually promote those policies. It will be a vigilant and organized membership that will ensure that the boldest proposals actually become the core of the NDP’s identity. Quite the opposite. Jack Layton, for example, won a similar first-ballot victory in his leadership contest while agreeing with the spirit of the New Politics Initiative (and with the backing of some of the NPI’s key proponents), which called for deep democratic reforms to the party. Instead, once Layton took the reigns, the party became even more centralized, undemocratic and disconnected from its membership, leading to current and ongoing crisis of member involvement. 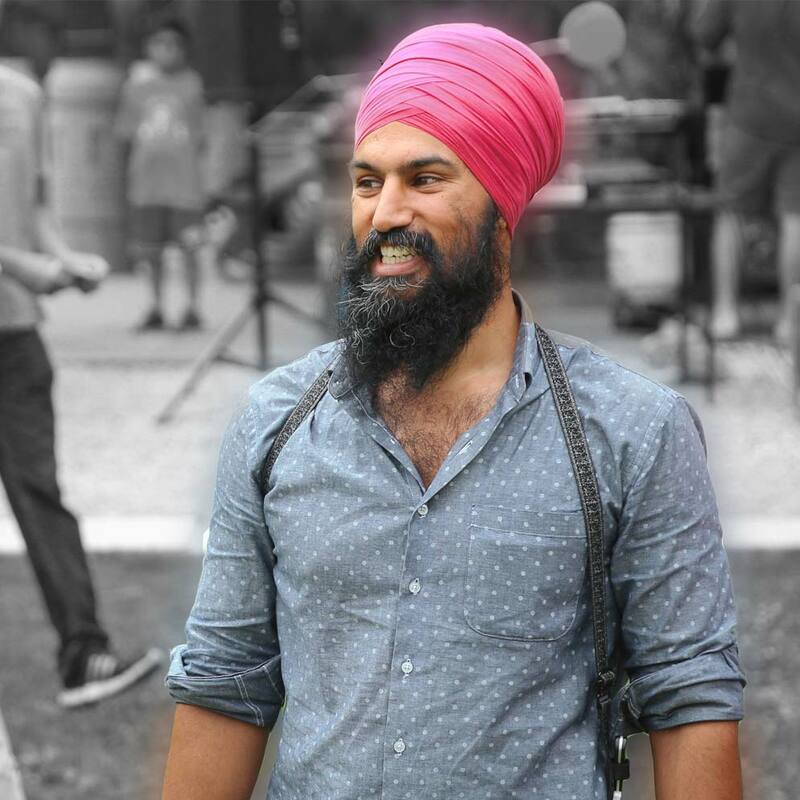 It will be a vigilant and organized membership – not a wait-and-see attitude or a deference to the leadership – that will ensure that Singh’s boldest proposals actually become the core of the NDP’s identity. There are many key issues where Singh’s campaign has been less visionary and more vague. The NDP must make up for these gaps. Transitioning to a post-carbon economy, decommodifying housing, and enacting redistributive policies that tackle income inequality — these tasks cannot be left to the whims of party leadership. Singh’s climate measures are obvious first steps, but hardly amount to a vision for a transition to a post-carbon economy. He mentioned decommodification of housing in an interview and proposed housing for LGBT youth, but there’s no national housing strategy. Singh’s proposed progressive improvements the tax system would be a good start, but given the crisis we face, far deeper changes are required. His proposal to scrap Old Age Security (OAS) in favour of a means-tested benefit understandably raised serious controversy within a party committed to universal social programs. Any proposed changes to pension benefits will require more thought and discussion among party members to ensure both broad coverage and sufficient financial support. Opposition to privatization does not appear once in Singh’s campaign materials. Stopping the Liberals’ billions in infrastructure bank giveaways ought to be a priority, and the NDP should campaign to reverse the privatization of the last few decades. From the beginning, it was clear that no single leadership candidate was going to do everything that needed to be done. With that said, it is important that criticism of Singh, when required, be rooted in verifiable facts and his policies. We should aspire to not only abstain from invoking racist ideas, but actively challenge any dog-whistle rhetoric around religion, culture or skin colour. The leadership campaign showed us that there is a lot of learning to be done among NDP supporters around how to be effectively anti-racist. We all have a role to play in making left-wing and NDP organizing a welcoming space for everyone. From the beginning, it was clear that no single leadership candidate was going to do everything that needed to be done. Nor could they; the establishment would be too powerful to overcome without the help of an organized force promoting an alternative agenda. The reason we started Courage was because we knew that we – NDP members; the left at large – had to do it ourselves. We plan to. No matter who you supported for leader, if you want to help build the power of social movements and an activist, grassroots, democratic, and solidly left and progressive party, then join us! To find out more about becoming a Courage member, click here!